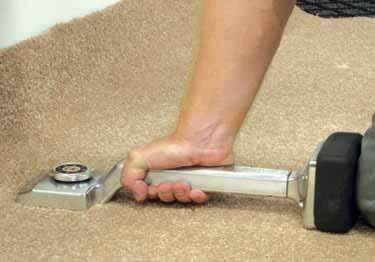 Roberts Knee Kickers are created for the performance and comfort needs of carpet installers. Built with durable construction, easy to adjust pin depth dials, and bumper pads designed for maximum knee comfort. Koffler Sales is offering six models of Roberts Knee Kickers to meet your carpet stretching and installation needs. 5 Position adjustments from 17 in to 21 in. Easily adjustable trigger adjusts from 18-1/2" to 22-1/2"
Dependable, solid trigger release adjusts from 17-1/2" to 21-1/2"
Adjustable length trigger adjust from 17 in to 21 in. Easily adjusts from 19" to 23"